Are you tired of having a sunken driveway and steps that are falling apart? We are here to help! 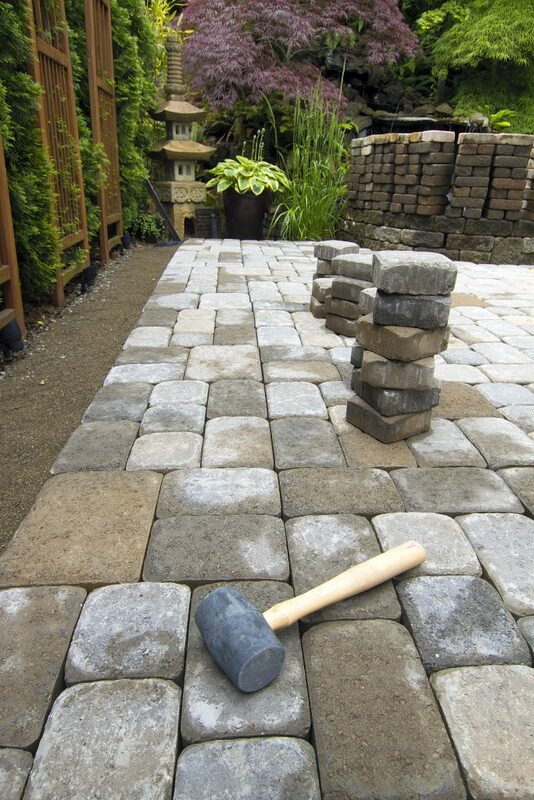 Action Home Services is a professional paver technician who will help you to restore and repair your stones. 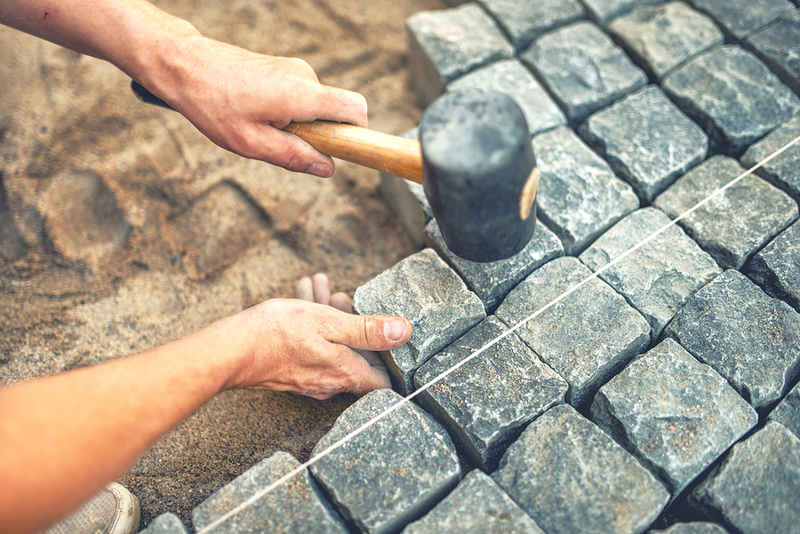 Our technicians will fix absolutely any problem and make you love your pavers again. We can also replace some of the broken stones for you or refill the joints to protect it from weeds growing. You may have noticed that your driveway or patio has lost a little bit of it’s shine over the years. Cracks may have started to form, or there may be low spots or even weeds growing through. This can be due to a number of reasons. It’s possible that the driveway or patio was not properly installed in the first place. There is a considerable amount of preparation that needs to be done to the soil to ensure that it is compacted and levelled correctly. Don’t worry, though, if you are in need of an interlocking repair on any surface, the Action Home Services team can step in to save the day. 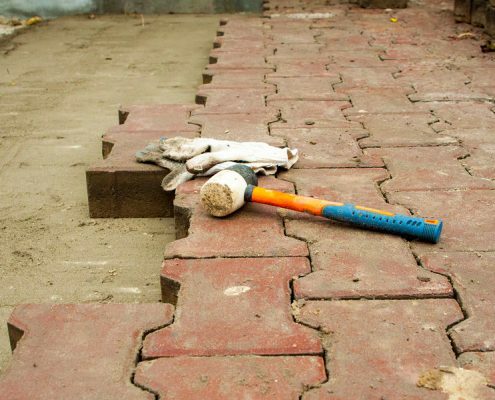 Our experts will be able to quickly assess the damage to your driveway and not only repair it with a band-aid solution, they will go to the root cause. This will ensure that the repair we perform is long lasting. We always go the extra mile to make your home look as good as possible for as long as possible. After all, your driveway is the first thing that people see as they approach your home, so having it look its best is very important. Ensuring that your retaining walls are properly looked after is an essential part of any home maintenance. The purpose of a retaining wall is to hold in any lateral pressure from soil pushing against it. Retaining walls can be made out of a variety of materials including concrete, stone, wood, masonry, steel and brick. Usually, the signs that a retaining wall is damaged and in need of repair are obvious. They are also easy to ignore. The sooner you identify a problem and have the Action Home Services team fix it, the easier and cheaper the job will be. 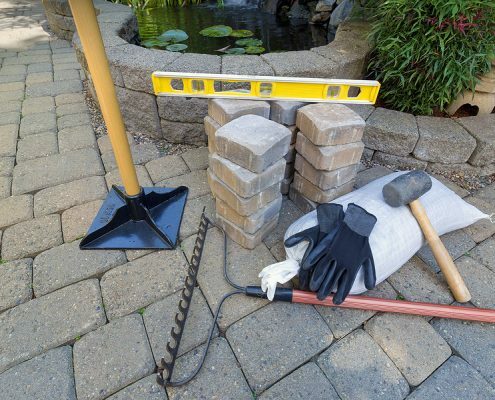 It is vital that you are familiar with how to spot if your retaining wall is damaged. Here are some indications to look out for. Our interlocking installers have years of experience and capable to repair any type of projects. Our experience and effort mean your pavers will look good after 10 years, just as they did the first day of installation. Before starting any project our qualified technicians will check all the spots where the stones have sunken. After this we will identify the reason of settling and make sure that it won’t happen again. Also, we will make sure that all the water will drain away from the house to prevent any water getting into foundation of the wall. Action Home Service provides up to 5-year limited warranty on labor to prove the highest quality of our services. Action Home Services is an experienced interlocking contractor serving Toronto, Markham, Vaughan, Scarborough, Brampton, Mississauga, Burlington, Oshawa, Richmond Hill, Milton, Oakville, Aurora, Caledon, Pickering, Whitchurch – Stouffville, Ajax, Whitby, New Market.